that You will experience in your travels to the North and South Islands. Come join us as we take an Insiderâ€™s look at The Real New Zealand. Plan your New Zealand Holidays with our Travel Tips. Learn more about New Zealand Climate, its Facts and History. Experience New Zealand Culture and the Cuisine. "What will be your Favorite New Zealand Holidays?" Do you want to enjoy a sail, yacht or cruise around the islands? Explore the coastline and beaches. Maybe you prefer hiking and camping the lakes and mountains, while exploring the wilderness? Or maybe, Ski New Zealand mountains and volcanoes? Are you interested in the local culture, observing the Maori traditions? How about relaxing at the thermal waters or cast a line and go fishing? Your adventure or luxury New Zealand Holidays await! Flying to New Zealand, your international flight will most likely arrive in Auckland, the main gateway. The City of Sails named for its association with around-the-world yacht races and the Americaâ€™s Cup. 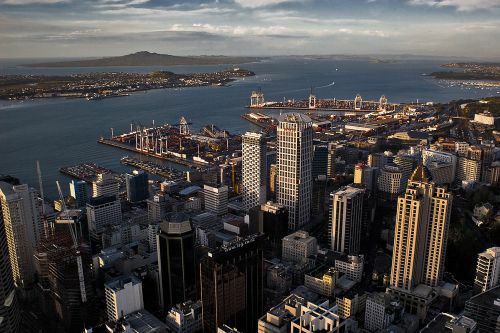 >Auckland is built on 50 dormant volcanic cones between two large natural harbors. A lively and vibrant city that has developed into a major waterfront with tourist attractions, restaurants and lots of shopping. Definitely a great place to finding your perfect gift or souvenir from New Zealand. 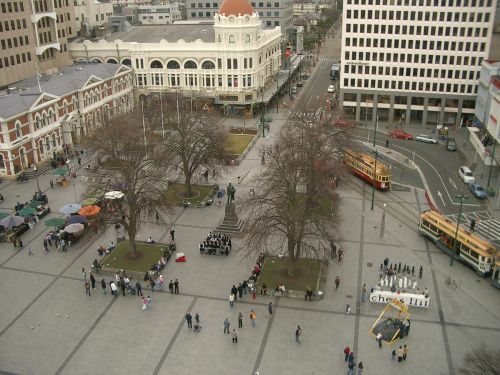 New Zealandâ€™s other gateway city is Christchurch. An historic city with spectacular gardens, it is the second largest urban city in New Zealand. Its architecture reflects its European heritage which is a mix of English style and Kiwi character. Christchurch is the perfect place to begin your travel to the South Island. the Adventure Capital of New Zealand, Queenstown. 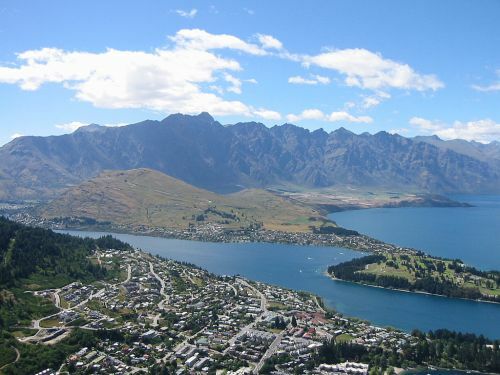 Queenstown is a natural theme park and one of the most popular tourist destinations for international travelers. This is a year round playground for the adventurist. Not to worry, non-thrill seekers will have plenty to do here in Queenstown. Relax and Enjoy the Majestic Scenery Take a Walk, Swing a Golf Club, Take a 4WD Safari or Cruise a River... or the Ocean, just to name a few. â€œWhat are your Favorite New Zealand Holidays?" Thatâ€™s a question we get asked a lot. Probably, because my husband was born and raised there and together we have travelled to and lived in New Zealand. Together we have walked the beaches and watched others surf them. No, I'm not that brave! We have cruised, sailed, ferried and jet-boated the oceans and rivers. Of course I had to get on that Shot-Over Jet! We have explored the lakes and the mountains of the North Island and South Island. We have been hiking and camping, taken walking tours, enjoyed the local wineries, watched a few whales and a few thermal eruptions, visited the thermal spas, and even experienced a few Luxury Hotels. Keith has also experienced many a ski slope... skiing of course. As for me, I took the gondola! Turn the pages and come explore the photographs with us, as you plan your exclusive get away. Letâ€™s get started and find your perfect New Zealand Holidays! The New Zealand Holidays Blog keeps you up-to-date with all additions and changes to the new-zealand-holidays.com Web site. Subscribe here. New Zealand Vacations? Plan it here with New Zealand Holidays, Your Travel Guide And resource for discovering all the best that New Zealand has to offer! New Zealand Weather to Plan Your New Zealand Holidays. Because the weather can change quickly and conditions differ depending where in the country you are. Explore all 25 New Zealand Regions each with its own character shaped by location, climate and culture - making each region a perfect destination for your New Zealand Holidays. Beach lovers will find hundreds of beaches in New Zealand. Surrounded by water and thousands of miles of coastline you are never 80 miles from the coast. and the Best New Zealand Beaches. Weather In New Zealand, What is it like? What is The Weather In New Zealand? New Zealand Seasons can be experienced all in one day. New Zealand Beaches Are Plentiful. With almost 10,000 miles of coastline and one third of that New Zealand Beaches, how do you decide which one to visit? Auckland Travel Guide for planning your New Zealand Holidays. Find the best attractions, places to go and things to do on your holiday vacation in New Zealand’s largest city Auckland. The current New Zealand Flag is the Third flag in its' short history. Representing its heritage as a British colony and its geographical location in the Southern Hemisphere. Native New Zealand Animals - creatures evolved from Gondwana found nowhere else. Native New Zealand Animals - marvellous and harmless creatures evolved from Gondwana found nowhere else in the world. While traveling on your New Zealand Holidays… you most likely will see a New Zealand Flag or two, possibly even a royal or viceregal flag and we would like you to be able to identify them. The Auckland Region is a great place to begin your New Zealand Holidays!